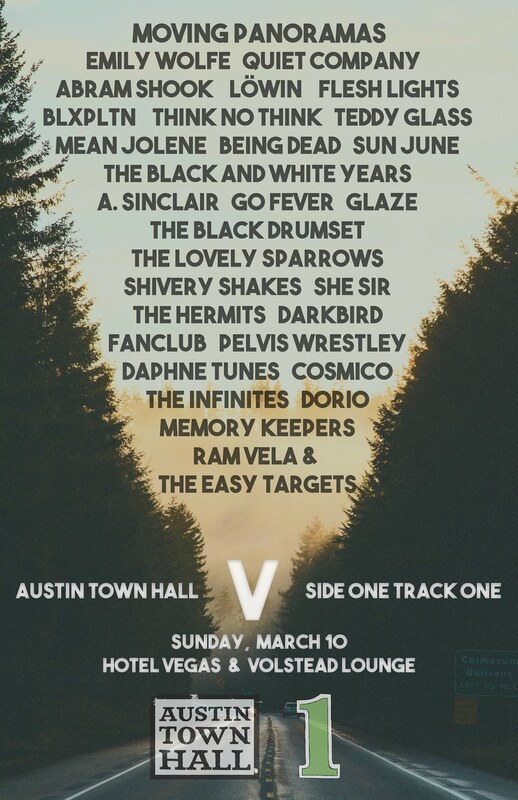 Saturday night, Austin welcomed some locals back into town at The North Door in the form of Loma. The band has been touring fairly extensively on their new Sub Pop debut self titled record. 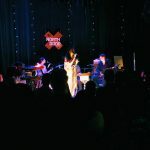 Having seen Cross Record a few years back, I knew that I would be in for a night of lush sounds and elegant vocals, but I wasn’t too sure as to how the new material would play out in the live setting, especially at a venue that is a little off the beaten Red River path. All doubts were erased–Loma is a force to be reckoned with, and I expect big things from this band. Click through to read some more brief thoughts on the evening. Fellow local, Jess Williamson opened the night off with some graceful folk tunes. I didn’t catch much of her set, but her voice remains ever as lovely and transfixing. From what I caught, she played some new material off her upcoming album,Cosmic Wink, which will be out May 11 via Mexican Summer, which I’m now eagerly awaiting. Loma began shortly after, and immediately dispelled all qualms I had about the show being at The North Door. The proclaimed three piece shows itself as a five piece in the live setting and sounded absolutely perfect in the warehouse space, which is exactly what the music demands. What makes Loma’s new record so fabulous is the minimalist, yet extremely expansive sound that these skilled musicians have essentially perfected. I was worried that the sound would be muddled and be somewhat off from the record, but on the contrary, every instrument seemed to be perfectly present in the mix. The band rolled through track after track of their new album, and a word kept coming to mind as I watched: seamless. Each song seemed to bleed into the next, each instrument an integral part of the whole. My favorites from the show were oddly not my favorites from the album. Of course “Relay Runner” and “Black Willow” were great moments of the set, but I was beyond smitten with “Dark Oscillations” and “Sundogs,” which showed off how graceful and elegant Loma’s tunes are. I thoroughly enjoyed my evening with Loma, and the band’s live performance solidified my adoration of their album. I look forward to more from Loma, and I hope that others can find themselves utterly taken with a performance from these folks sometime in the near future.